Azalea indica ‘G.G. Gerbing’ is in the Southern Indian or Indica group of Azaleas. These Azaleas are spring blooming and the foliage is evergreen. These Azaleas have an upright growth habit and are the best choice for a high light area. The G.G. 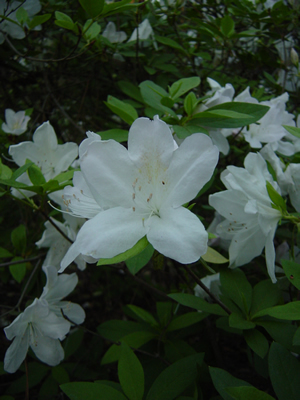 Gerbing Azalea has a pure white single flower that can reach 3″ in diameter, this Azalea blooms profusely during the spring.